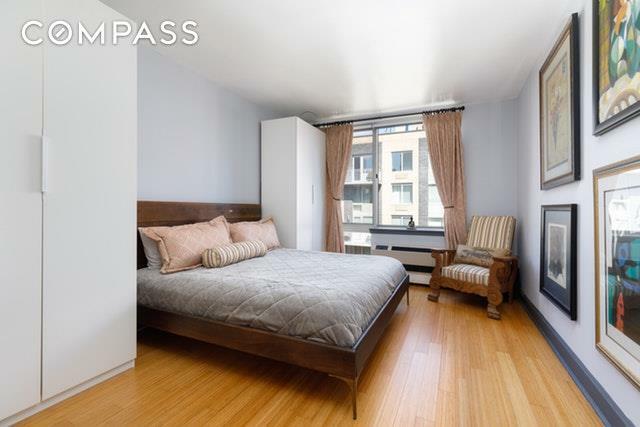 Welcome to this gorgeously designed mint condition two-bedroom two-bathroom home at The 505 Condominium. Floor-to-ceiling windows let in glorious amounts of sunlight and all windows face the tranquil courtyard, offering you the most precious amenity in todays hectic world - peace and quiet. The generous open layout of this home, paved in bamboo flooring throughout, is ideal for both living and entertaining. Your modern chefs kitchen is fully stocked with custom Italian cabinetry, marble countertops and top-of-the-line appliances from Miele, Bosch and Fisher Paykel. The king-sized master bedroom is perfectly appointed with a beautiful en-suite bath and spacious walk-in closet, and there is a stackable washer-dryer in unit. 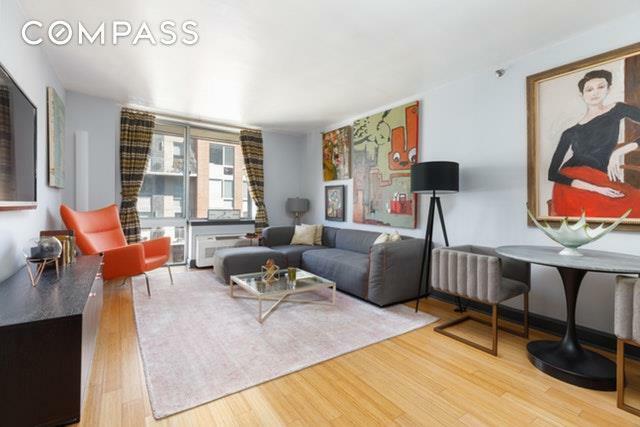 This sale also includes a deeded storage space.The 505 Condominium is a pet-friendly boutique luxury building in the vibrant neighborhood of Hells Kitchen. 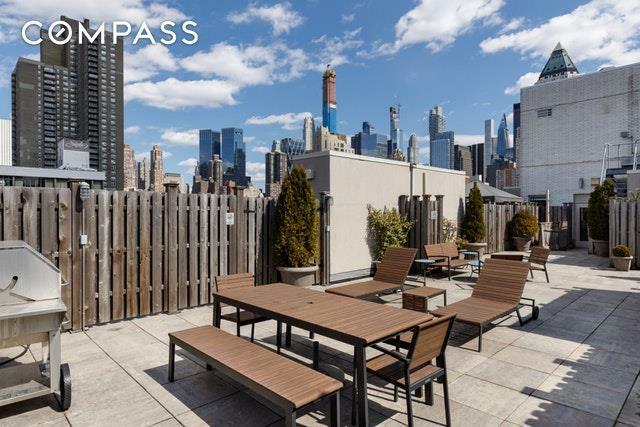 Serviced by a full-time staff which includes 24-hour doorman and live-in super, this intimate building includes two fully-landscaped roof decks (with grills and sweeping skyline views), a state-of-the art fitness center, bike storage, and a relaxing landscaped courtyard. 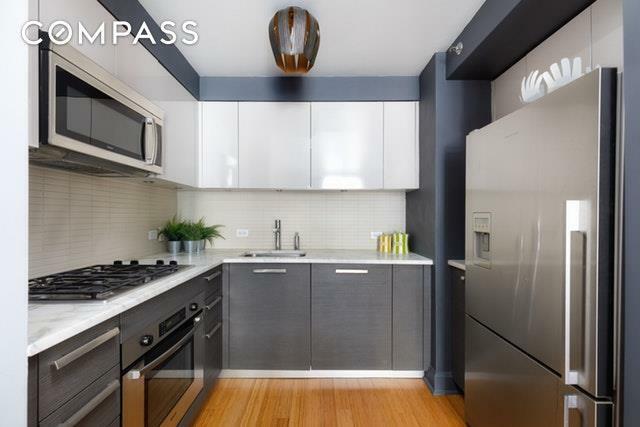 You are also surrounded by some of the citys best restaurants, nightlife, parks and transportation. Additionally, the neighborhood is experiencing higher-than-average property growth, which makes this unit both an ideal home and a wise investment.